Technology has given us the tremendous benefit of connecting to the rest of the world instantly. We’re able to communicate with friends, family, and coworkers anywhere. The only thing stopping us is when the battery dies on our devices. Ensure that your smartphones, tablets, and smartwatches all stay fully powered with the SCOUT Wireless 5,000mAh Portable Charger. The Gadgeteer described this charger as the “Swiss Army knife of portable chargers” due to all its numerous capabilities. 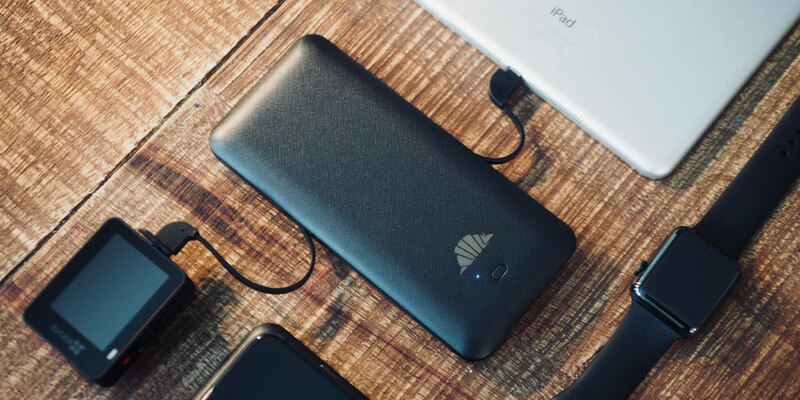 Featuring a built-in wall charger, built-in cables, quick-charging USB port, and intelligent charging technology, SCOUT is easily the most useful and versatile portable charger on the market. It even has Qi wireless charging tech! This one sleek device can charge just about everything. Instead of carrying multiple charging devices and cables, simplify your life with the SCOUT. You can use the 5,000 mAh battery capacity to keep your smartphone juiced up while on the road. Don’t miss out on this 50% off deal. The SCOUT Wireless 5,000mAh Portable Charger will only cost you $39.99.